This tutorial has being tested and confirmed but all you need to do is to Register For Your National ID Card and then we gonna make use of it because most time 56% of bloggers and webmasters are students who can not afford must of this requirements like the drivers license, NEPA or electric bill with voters card. Before you think of verifying your Adsense account using this method first of all visit any business center and scan your National ID or any of the document which you have and make sure it is clear and then transfer the scanned document into your flash drive or your mobile device. Note : if it's not yet time for the submission of your documents you will be given a FAQ QUESTIONS to answer so just wait a little bit. 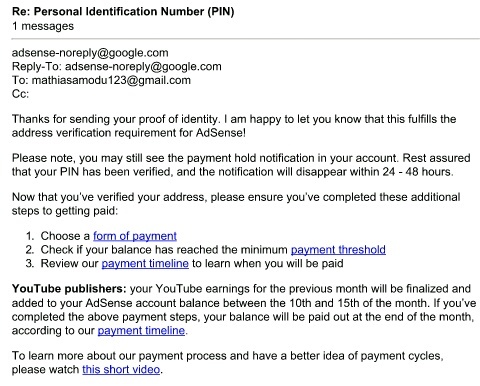 First open your Google Adsense Account using your username and password. Then click on Notification Option in Google Adsense account which is located at the top of your dashboard. Now scroll down to the location that the adsense pin is required and then read a little note below. Personal Identification Number (Pin), Driving license copy, Electricity Bill Document. Great one here @Mathias, hope to try this method soonest! Why I respect Mathias is that, he is no stingy blogger! Keep up the good work bro, no wonder your hustle pays well. 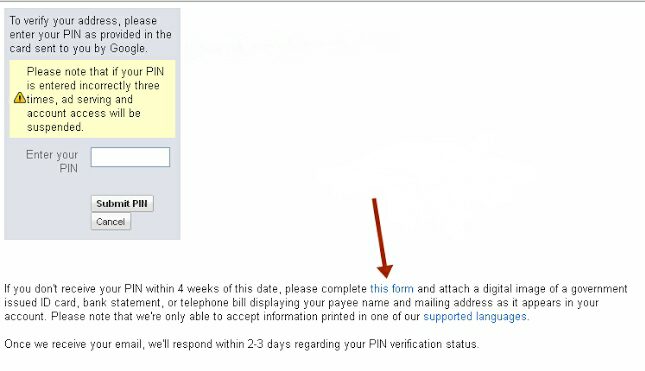 Mathias pls can u help me,I apply 4 adsense n I was send a request dat dey cnt approve me dis time...Y! Is it the three documents that is require or one of the three documents you listed above?. Also, the NEPA Bill, would the name on it bears the Same name as the one in ones AdSense account before it could be accepted?. 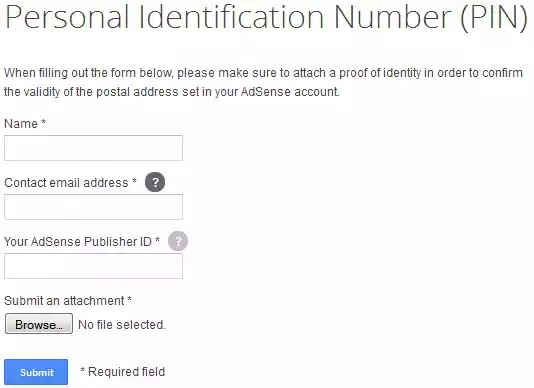 You are sending only one document and the name should be the same thing with the one on your Adsense account either they first and the last but if you have a middle name in your document that no problem use it.